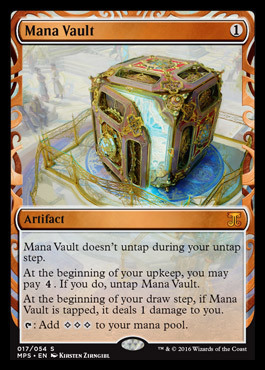 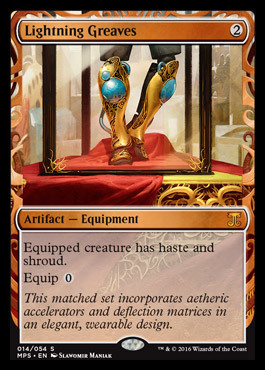 Kaladesh Inventions is a promotional Magic set of 54 foil artifacts cards that are randomly inserted in boosters of the Kaladesh block. 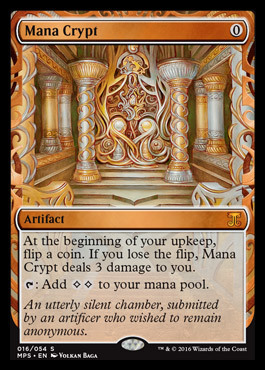 The set is part of the Masterpiece Series. 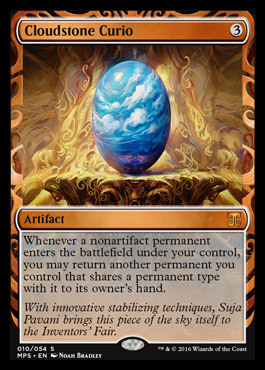 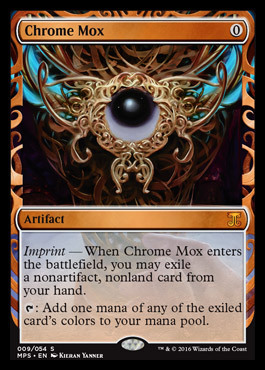 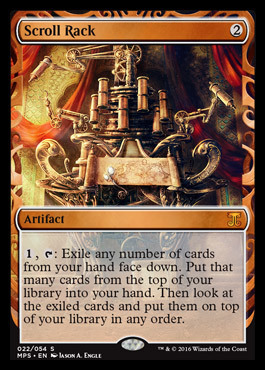 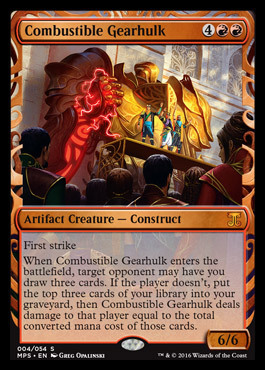 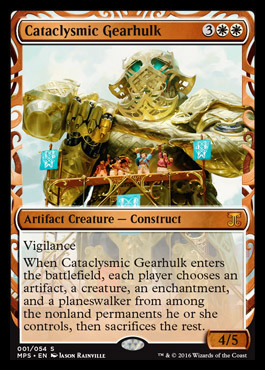 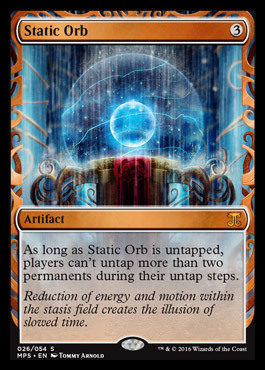 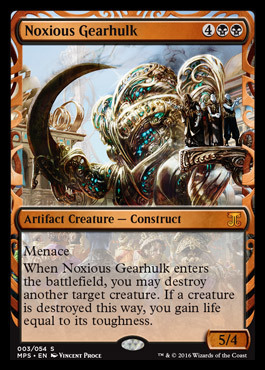 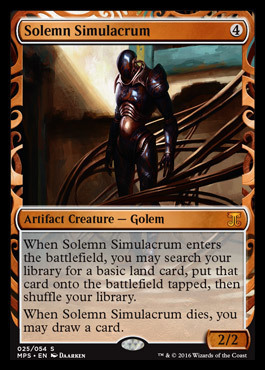 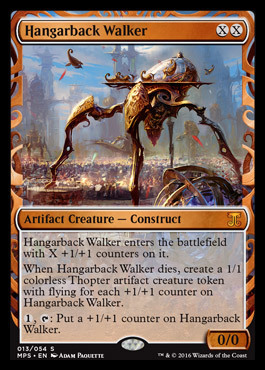 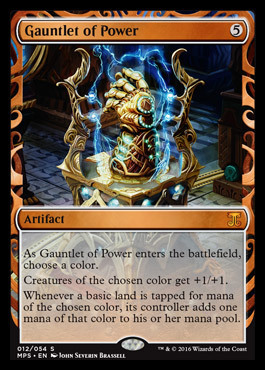 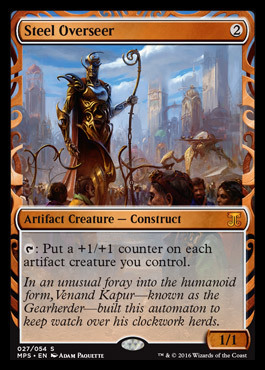 Cards of this set feature a special Kaladeshi card frame and a separate expansion symbol. 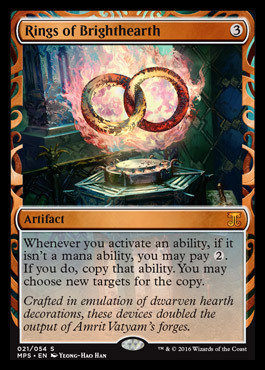 Thus, they are not part of the sets themselves. 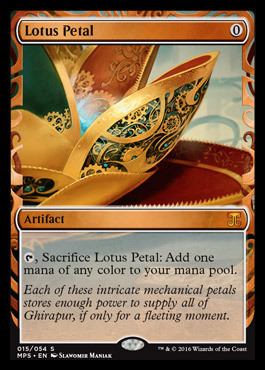 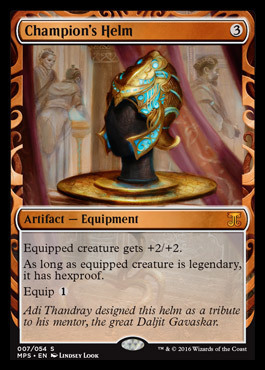 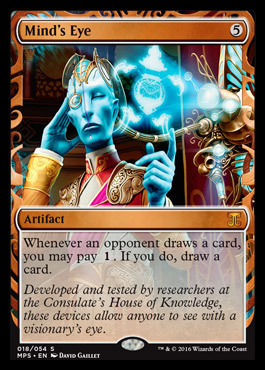 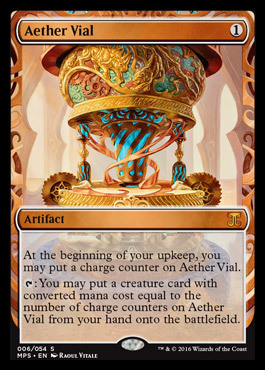 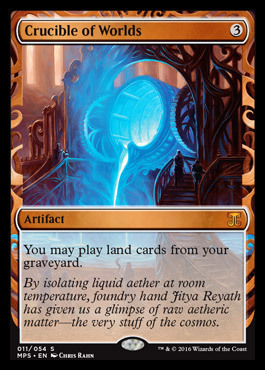 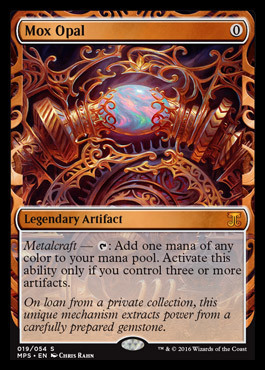 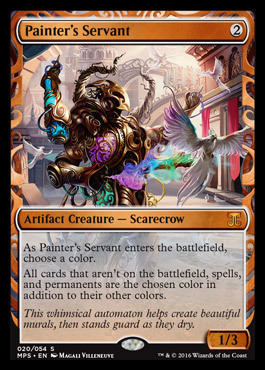 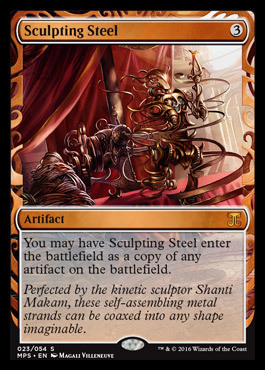 Kaladesh Inventions feature all new art set on Kaladesh and appear slightly more often than premium mythic rares. 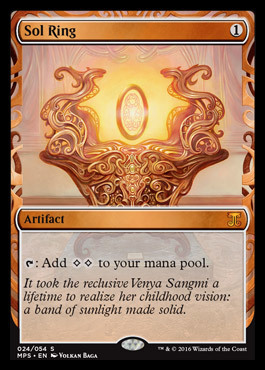 They are printed in English only, but can be opened in packs of all languages. 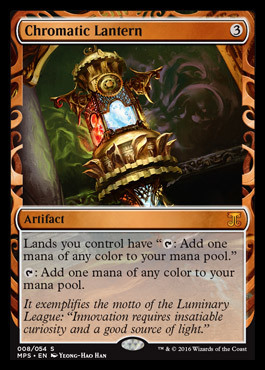 These cards are playable in limited and formats where they're already legal.